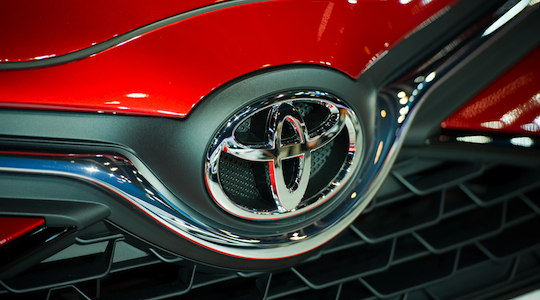 Toyota has nabbed the top spot on the Corporate Reputation Index as Australia’s most reputable company for 2015. Closely followed by Samsung in second place, Toyota climbed from fourth place in 2014 to knock last year’s leader JB Hi-Fi down to third place this year. The index is part of an annual global study by research consultancy AMR and the Reputation Institute. The 60 companies to be included in the list are sourced from the IBIS World Top 1000 Company list, which is based on revenue. The study measures how Australians feel about each company regarding products and services, innovation, workplace, citizenship, governance, leadership, and financial performance, as well as overall reputation. Toyota ranked in the top 10 for all of the individual dimensions. It’s the second time Toyota has reached number one on the list, having also come out on top in 2013. “The fact that Toyota has regained its position as the most reputable Australian company despite announcing the end of its manufacturing operations and the consolidation of its business by the end of 2017 demonstrates how important a strong reputation is in maintaining consumer trust, even after delivering bad news,” says AMR managing director Oliver Freedman. This year’s list included Samsung for the first time due to its increased revenue. The highest-ranking financial institution is Bendigo and Adelaide Bank, in seventh place. Qantas showed strong improvement this year, rising 17 places to rank ninth, putting it ahead of Virgin Australia, which dropped seven places to 15th. Vodafone improved only one place this year, ranking 57th. Back in 2009, it was well ahead of both Telstra and Optus (this year Telstra was 54th and Optus was 43rd). Australia Post (6th) has dropped out of the top five for the first time, perhaps due to proposed changes to the mail delivery system. Fairfax (59th) and News Corp Australia (60th) show that media companies are failing to engage with consumers. Both rated poorly on the dimension of ‘governance’, which relates to honesty, openness and transparency. Apple Australia ranked first for the individual dimensions of innovation, leadership, and financial performance, but only fifth on products and 19th on governance. Westfield’s reputation dropped substantially, from 15th to 37th this year. Medibank dropped only five places despite its public listing.